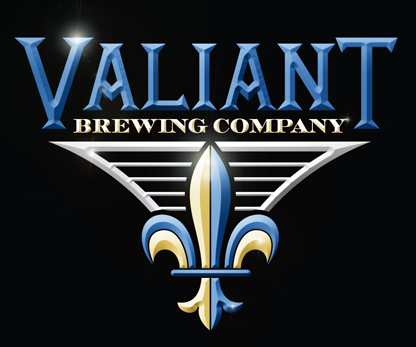 STMSOC and Valiant Brewing Company invite judges, attorneys, and law students to join us for faith, fellowship, and fun as we sample choice brew with Fr. Hugh. Bring a smile and $15 ($10 for poor starving law students). 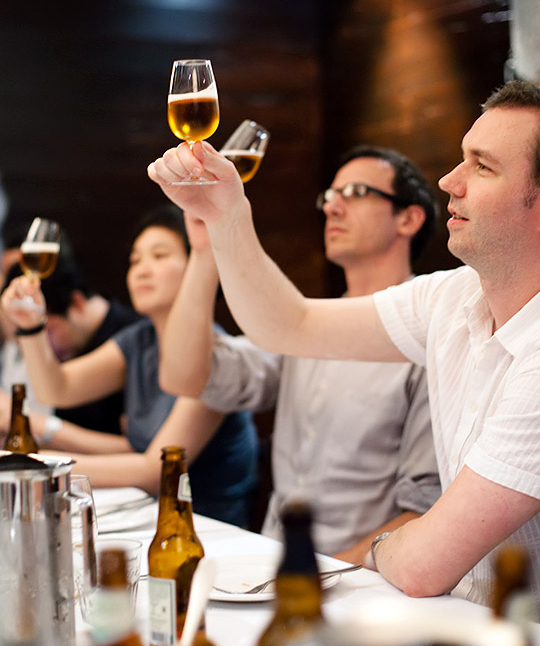 Enjoy craft beer and snacks, and get to know other members of the Catholic legal community. Click here to OPEN FLYER. 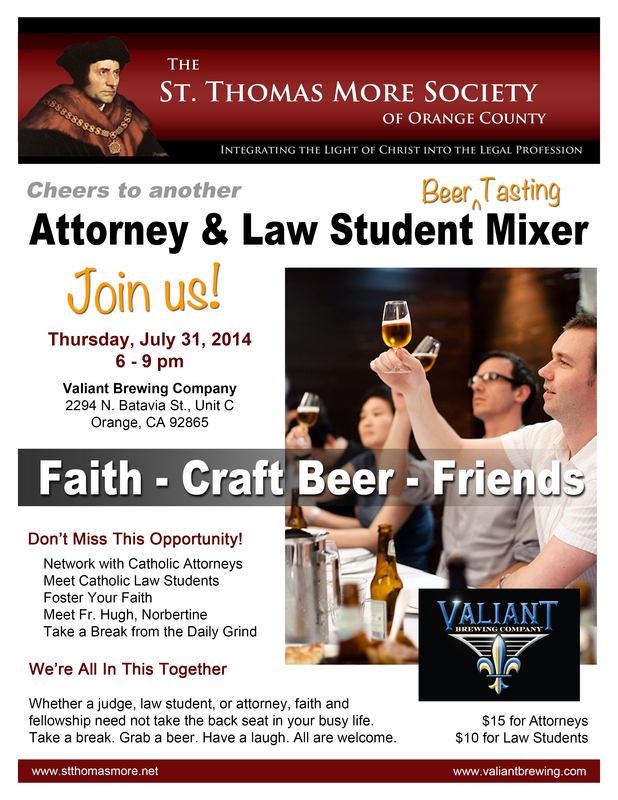 The St. Thomas More Society of Orange County invites the Catholic legal community to join the society. Catholic attorneys, judges, law students, and those who work in the legal community and provide professional services to attorneys are encouraged to join in Catholic camaraderie as together we face the challenges of being the face of Christ in the midst of the secular world. The St. Thomas More Society of Orange County, California, is an independent organization sponsored by lawyers and judges who are practicing members of the Roman Catholic Church. Its purpose is to encourage Catholic lawyers to live out their Christian vocation by sanctifying their daily work.